Sheep Incognito Now Available For Wholesale In Yarn Shops! For all you LYS/ Yarn Shops out there, the time has come to “sheepify” your shop contents! The maaahvelous flock of Sheep Incognito by Conni Tögel is now available for wholesale, to bring smiles, giggles, and whimsical knitting art to your fiber store. 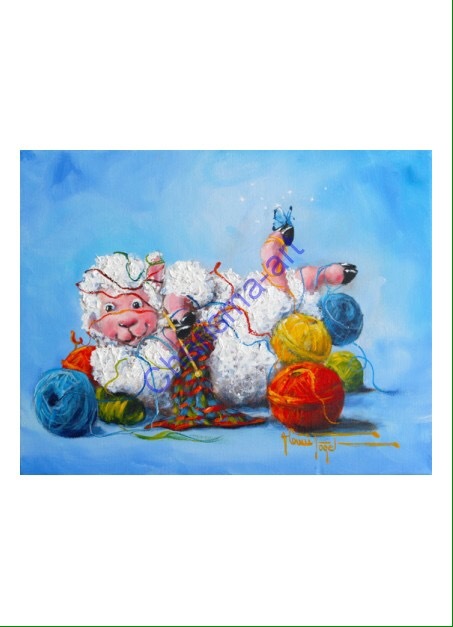 From the popular prints on paper and canvas, to awesome products like mugs, calendars, jewelry, tapestries, license plates, cross stitch charts, and ornaments, the popular sheep art makes a great add-on for your customers that are there for knitting workshops, crochet classes, or just to hang out. Share the “sheepish smiles” while offering your customers some cute, very collectable Sheep Incognito art to add to their craft stash.